Since the summer months are looming and a swimsuit is unfortunately in my future, I've been more diligent about eating healthy. And we all know that quinoa is a super grain. It's like rice on steroids. See, even Mac wants it! Healthy. Filling. And quick to make. I whipped up three different lunches with quinoa as the star of the plate. If you make a big batch of quinoa, you can easily make any of these lunches in fifteen minutes or less. All three lunches have between 350-450 calories and less than six ingredients. Sugar peas. Thai peanut sauce. Peanuts. Mangos. 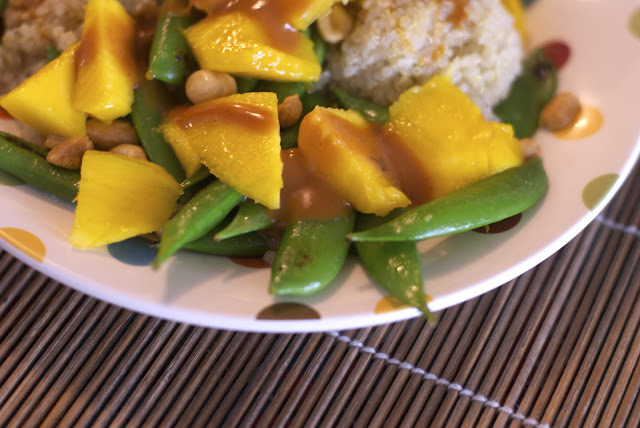 I love the combination of the sweet mango with the spicy peanut sauce! Finally, I cooked up Cheesy Quinoa with Spinach. 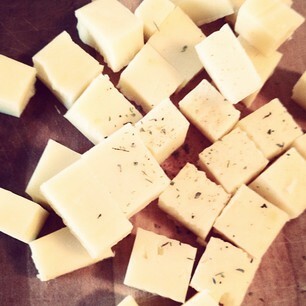 Fresh white cheddar. Mushrooms. Spinach. Black pepper. A lovely substitute for mac and cheese. 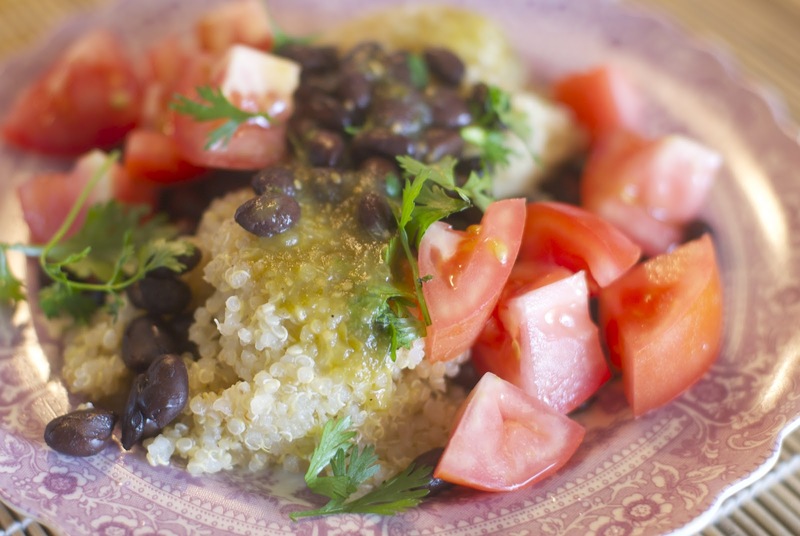 Warm quinoa and black beans. Add chopped tomato, green salsa, and cilantro to warm quinoa and beans. Add a few squeezes of fresh lime juice. A small handful of dry roasted peanuts. Warm cooked quinoa. 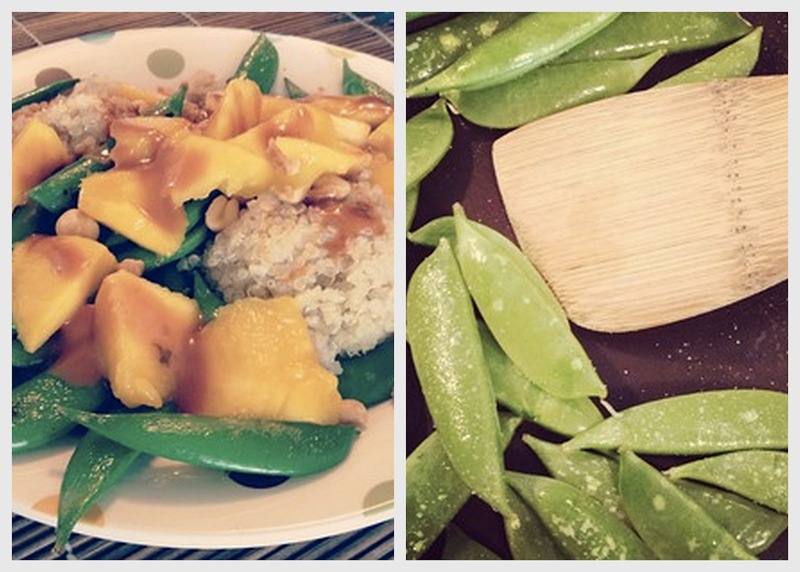 Saute sugar peas and chop mango. Place cooked sugar peas and chopped mango onto quinoa. Drizzle with Thai peanut sauce and sprinkle with peanuts. Warm quinoa for about thirty seconds. Add finely chopped or shredded cheese. Warm for another 30 seconds. Stir. 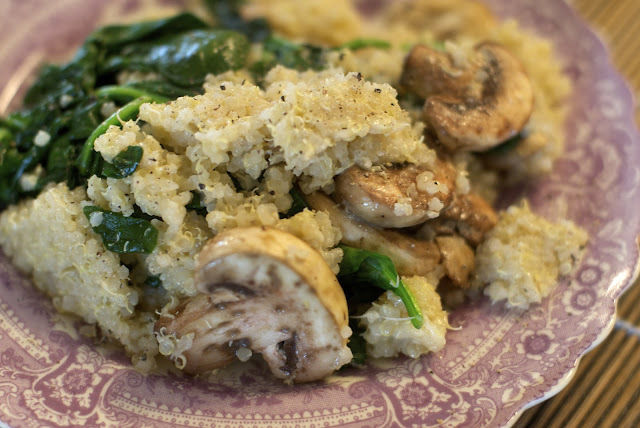 Repeat until cheese is melted into the quinoa. You may need to add a dash of milk. Add olive oil to a pan and saute spinach and mushrooms until cooked through. Add to the quinoa and cheese mixture. 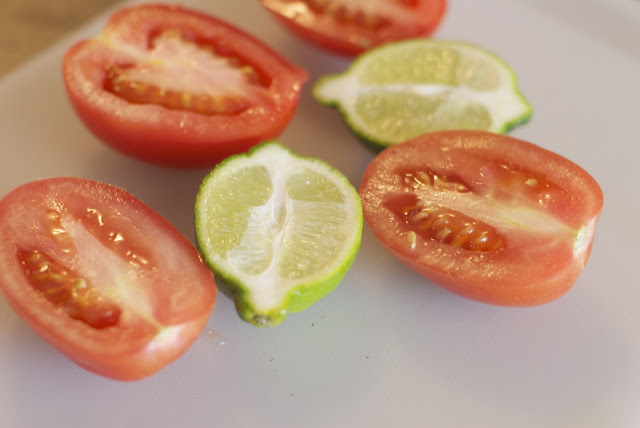 Sprinkle with black pepper or other seasonings. 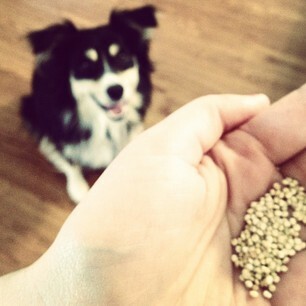 Anyone else love quinoa as much as I do?